Hello and Welcome to our preview for Central Stags vs Wellington Firebirds match. 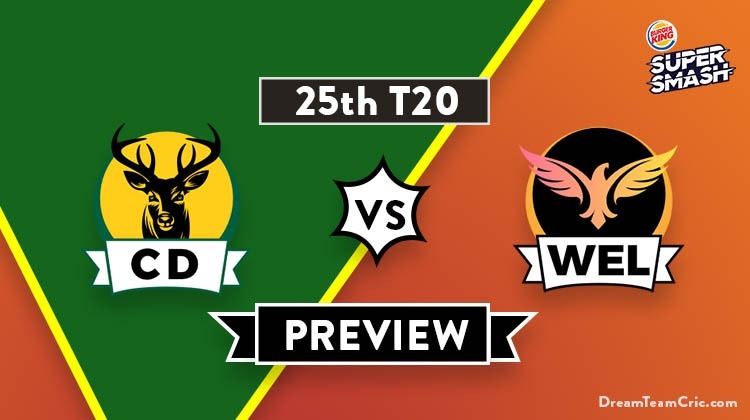 We are covering CD vs WEL Dream 11 Team Prediction, Preview and Probable Playing XI for the Super Smash 2018-19 match. The match is to be played at the Basin Reserve, Wellington. The Super Smash competition resumes after the week-long break. With only two matches remaining to be played for each team, the race to the playoffs is heating up. Only top-three teams go ahead in this format. A win here seals the spot for Central Stags while a win keeps the Firebirds in contention. Central Stag’s winning run of three successive matches was broken by Northern Knights in the last match in a grand fashion. Bowling first, Stags conceded 230 runs as the Knights batting lineup went on a rampage. Tickner picked up two wickets. In reply, Stags collapsed to 99 all out with Tarun Nethula getting six wickets. Dane Cleaver missed out due to injury, Seth Rance and Doug Bracewell were missing out as well. Wellington, on the other hand, enjoyed an 11-run victory over Otago Volts. Devon Conway struck a belligerent 105 not out and received great support from Tom Blundell who contributed 79. Wellington set a target of 222 runs. Otago was not far from it, they gave their full effort. Rachin Ravindra, J Neesham and Jeetan Patel ensured the win. This ground serves as the home ground for Wellington Firebirds. This will be their last group stage home game here. Of the previous four, they have managed to be victorious in only one. They have declared their 12-man squad. There are three changes in the side. Dane Cleaver is out due to injury. Ryan McCone, Kiran Noema-Barnett and Willem Ludick have been dropped as well. 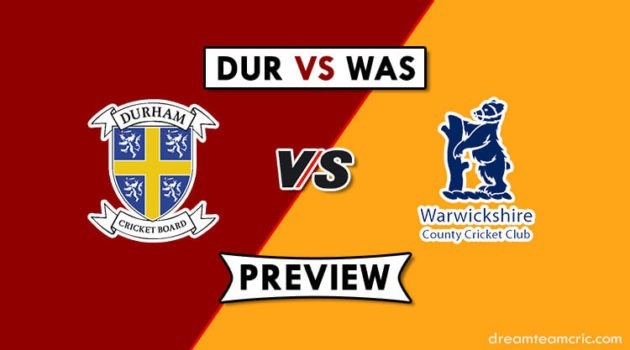 Bayley Wiggins comes in as wicketkeeper while Doug Bracewell and Seth Rance return from national duty. Stags have a worry at the top with Worker not firing at all. Will Young will be his opening partner. Dean Foxcroft takes the number three position. Tom Bruce has been in stunning form, he will be at number four. Doug Bracewell and Josh Clarkson should appear next in the line. Bayley Wiggins will be making his debut as wicketkeeper-batsman. He may be used at the top with Worker failing consistently; else he will be batting down the middle order. Ajaz Patel is the spinner with Wheeler-Rance-Tickner handling the pace attack. Ben Small should be the 12th man. They have announced the 12-man squad for the match. They lose out James Neesham to the New Zealand team. Michael Bracewell and Devon Conway begin the proceedings for Wellington. Tom Blundell, wicketkeeper, will bat at number three. Malcolm Nofal is likely to replace Jimmy Neesham. He will bat in the middle order alongside Troy Johnson and Luke Woodcock. Rachin Ravindra, Ollie Newton, Jeetan Patel and Hamish Bennett will form the bowling attack. Logan Van Beek could replace Ben Sears. Sears had earlier taken 4/16 but after returning from injury he bowled only one over in the last match and conceded 25 runs. I didn’t pick Tom Bruce. He is very good batsman and His recent form is great. If you want then pick him in place of M Nofal or George Worker. Captain and Vc choices: Devon Conway, Will Young, Michael Bracewell, Dean Foxcroft, Tom Bruce, Doug Bracewell, Tom Blundell, Ollie Newton. 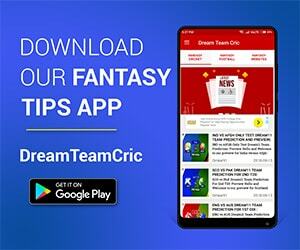 If you liked CD vs WEL Dream 11 team prediction, then follow us on Twitter for Latest Cricket News and Grand League Teams.